As water supplies become increasingly scarce, evaporation control on our ponds will become more important. Evaporation can be minimized by covering the liquid surface. Contamination from wildlife can be avoided. 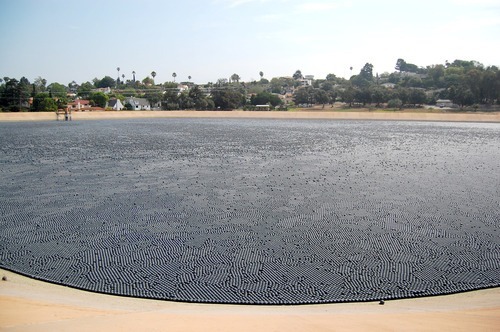 Reservoir covers are normally used in arid climates where water or other liquid loss is a significant expense. This typically occurs in climates with seasonal rainfall, or in very arid climates. A modular reservoir cover stops evaporation by preventing the dry ambient air from contacting the water in the pond. 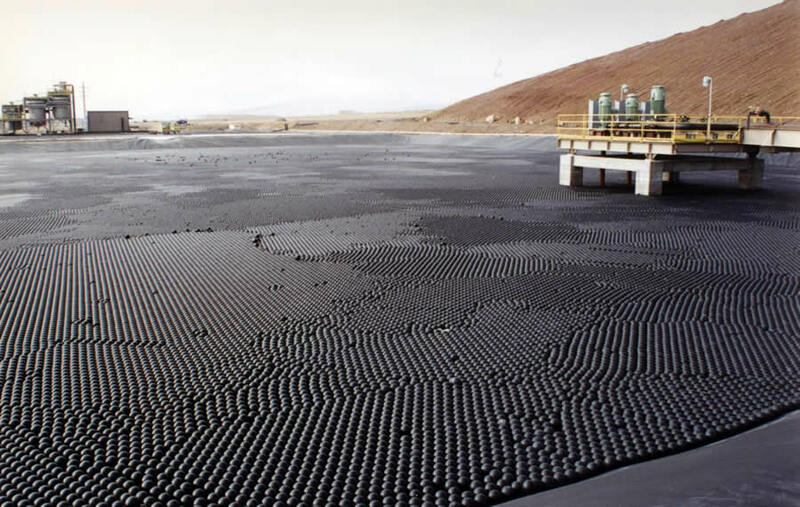 These covers, such as the Armor Ball and Hexprotect AQUA covers, are particularly effective for irrigation ponds in desert climates; especially when the water used for irrigation has to be transported from another region. A reservoir cover will also help to prevent the concentration of pond liquids. This helps to control mineral accumulation in irrigation water and protects water used to water livestock. Another use for our floating covers is to prevent the growth of algae. AWTT covers are opaque to sunlight. This inhibits the growth of algae and other water plants. Using an evaporation control cover will not only retain precious water volumes but will also help prevent the contamination of water through the growth of plants and algae. Installation of an evaporation control cover can take place in either an empty pond, or in a pond that contains some water. It is easiest to install an evaporation cover in either a dry pond, or one that is full. A partially full pond is quite a bit more difficult.